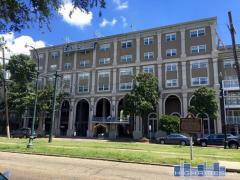 Located in the Garden District, Andrew Jackson Condominiums is an 8-story high-rise built in 1960. Community amenities at Andrew Jackson include door service, 24-hour security, a small gym, and a roof deck. Have any comments or questions about Andrew Jackson Condominiums? Ask your question and/or share your thoughts about this Building.